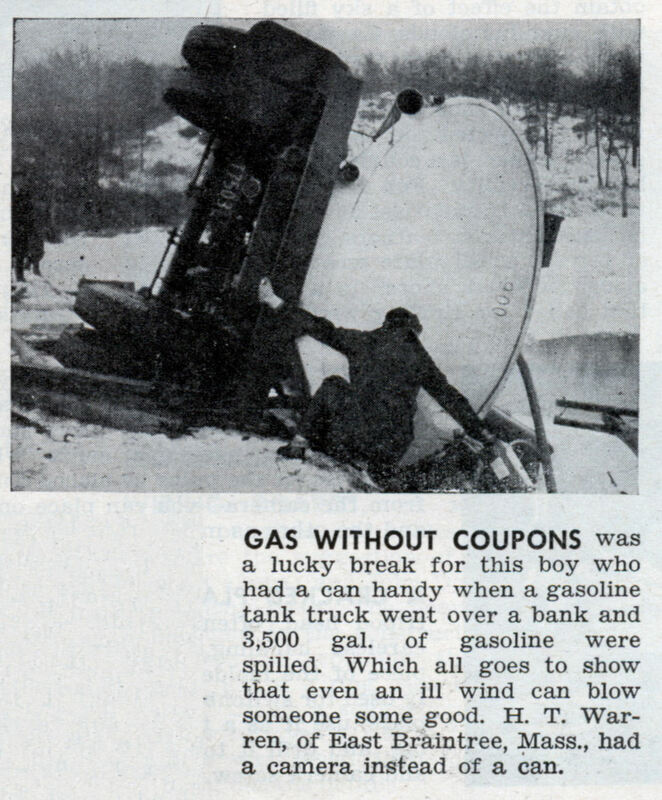 GAS WITHOUT COUPONS was a lucky break for this boy who had a can handy when a gasoline tank truck went over a bank and 3,500 gal. of gasoline were spilled. Which all goes to show that even an ill wind can blow someone some good. H. T. Warren, of East Braintree, Mass., had a camera instead of a can. Oh boy, an ecological disaster! HOORAY! My goodness, that was an explosion waiting to happen. But today, most of us would run home and get a can, too, which is kind of depressing. They COULD be telegraph lines, Tim. 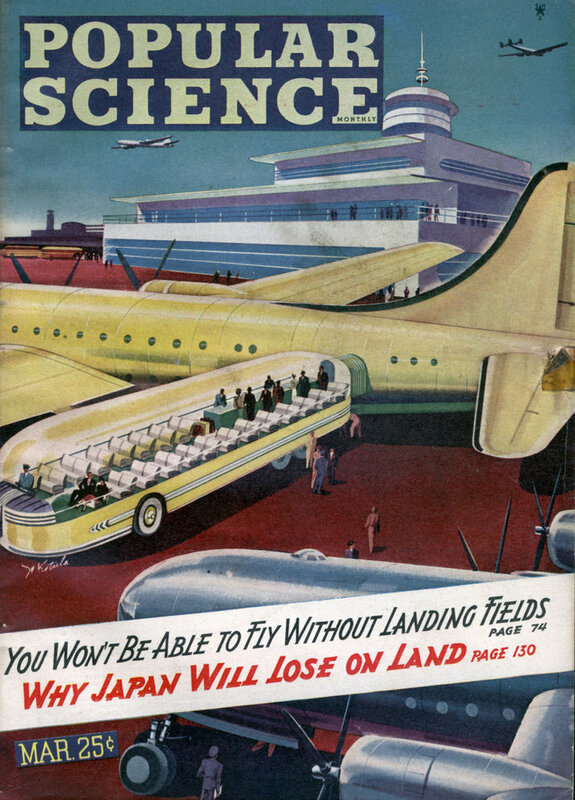 Which, while still electrified, probably wouldn’t be quite so dangerous. But, then again, they might very well be power lines.